I write on the white part of them, and I am super happy how they have come out, really its just writing, nothing special. 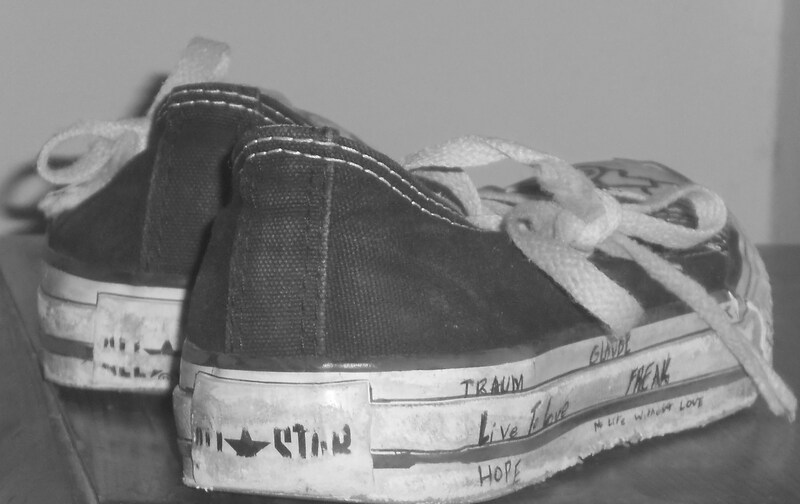 This entry was posted on Thursday, October 28th, 2010 at 11:19 pm	and tagged with <3, art, converse, inspiration, shoes and posted in art, good, likes, me, random. You can follow any responses to this entry through the RSS 2.0 feed.